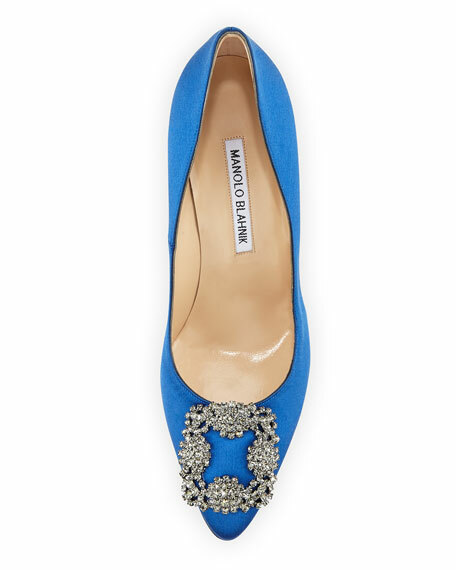 Manolo Blahnik embroidered satin pump with crystal details. 2" covered heel. Pointed toe. Halter slingback with stretch inset. Leather lining and sole. Slip-on style. "Carolyne" is made in Italy. Sizing note: Manolo Blahnik runs small. We suggest that you order a half size larger than you typically wear. Manolo Blahnik textured cotton pump. 2.8" covered heel. Pointed toe. Slingback strap with stretch inset. d'Orsay silhouette. Smooth outsole. 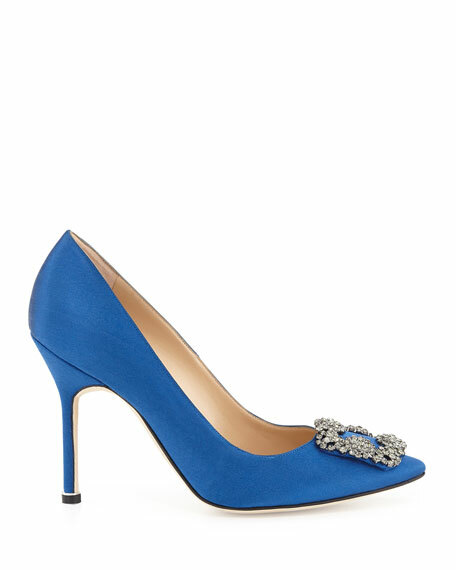 "Carolyne"
Manolo Blahnik textured cotton pump. 2.8" covered heel. Pointed toe. Slingback strap with stretch inset. d'Orsay silhouette. Smooth outsole. "Carolyne" is made in Italy. Sizing note: Manolo Blahnik runs small. We suggest that you order a half size larger than you typically wear.